Every year thousands of students graduate from school. Some are graduating high school while others are graduating college or another form of higher education. 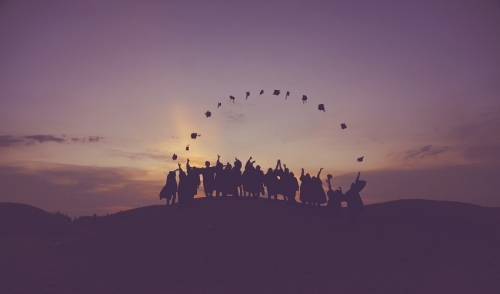 No matter what degree you receive, graduating is an accomplishment worth celebrating. I’m not referring to any common celebration. Graduation parties should be among the best you’ll ever have. Take a dive into this article to learn some exciting ways on how to make your graduation party one to remember. The easiest way to throw the best graduation party is renting all of your items and accessories. Throw the best graduation party by following these three easy steps. To make it simple, start with renting the essentials. The essentials are tents, tables, and chairs. Tents, tables, and chairs serve as the foundation of any party. No party is complete without them. Your guests have to have a place to sit, eat, and get out of the sun or away from bad weather. Second, rent all your large accessory items such as grills, ice buckets for beverages or kegs, and serving supplies. Many individuals know someone who can potentially lend these items, but if not, your local rental dealer will have all these items readily available especially during this time of the year. The final and most important step to throwing the best party is renting the entertainment. Consider renting speakers, DJ equipment, or even a karaoke machine so that the party is filled with good music and positive vibes. Nothing brings people closer together than good music. You can ask anyone and I bet they will always describe some of their best parties as the ones where they sang and danced the night away. However, don’t stop there! Think outside the box and go distance by renting other fun items such as a photo booths, carnival games, watersports, moonwalks, and even sumo costumes. Don’t forget about the adults either. Try renting keg towers, party bars, and casino tables so that everyone can take part in a little fun. When renting for your graduation, the options are endless. Don’t be afraid to use your imagination and rent something totally out of ordinary, but your guests will still enjoy. A key point to remember when renting for your graduation party is to start the process early. Graduation is a popular event and you can be rest assured that you are not alone in trying to throw an epic party. The best graduation party is only a call away. Get ahead of the game and start booking now! I guarantee everyone will be buzzing about how great it is when the day finally comes. © 2019 Taylor Rental of South Plainfield. All rights reserved.